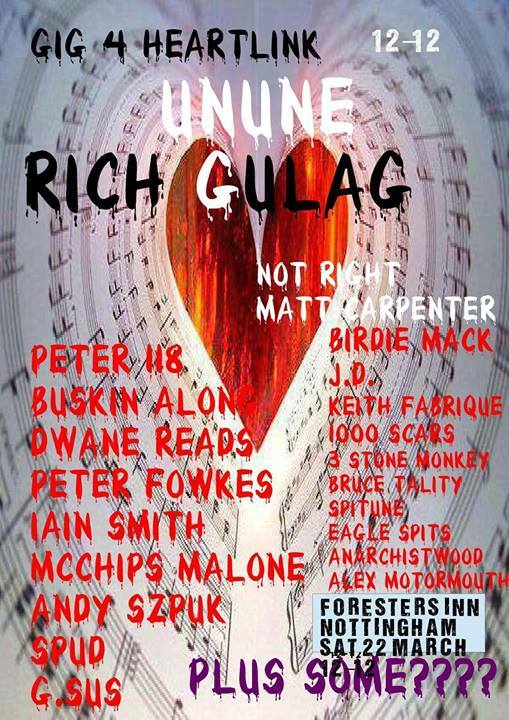 Alldayer with punk bands, DJs, poets and comedians. All proceeds to children’s charity Heart Link. 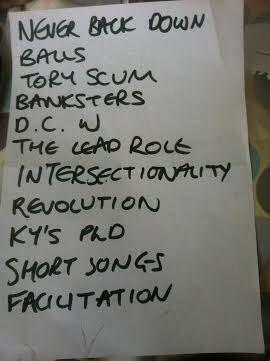 “Banksters” originally “Gangsters”, by The Specials.